Katrina comes to Strauss with over 15 years of experience in education management, donor prospecting, event planning and administration, all of which give her a unique advantage in her role as Membership Specialist. Katrina is a strong community and social services professional, and has worn many hats in her past careers, gaining extensive experience in event planning and administration, and in the educational and insurance sectors. She is especially skilled in budgeting, strategic planning and customer service. She brings robust interpersonal, communication and organizational abilities to this position. Katrina is particularly skillful in relating with donors, clients, and members, and principally works with the Promotional Product Professionals of Canada and the Pedorthic Association of Canada. 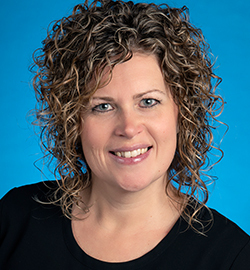 Katrina has completed several years of university studies through the University of Manitoba and holds a diploma in Early Childhood Education from Red River College. She also possesses a Montessori Teaching certificate. My number one priority in my role is to ensure that clients’ needs are well taken care of. I really enjoy connecting with people and building professional and lasting relationships. To me, that is key to managing associations and events successfully.